MLA Drops Everything to Read! 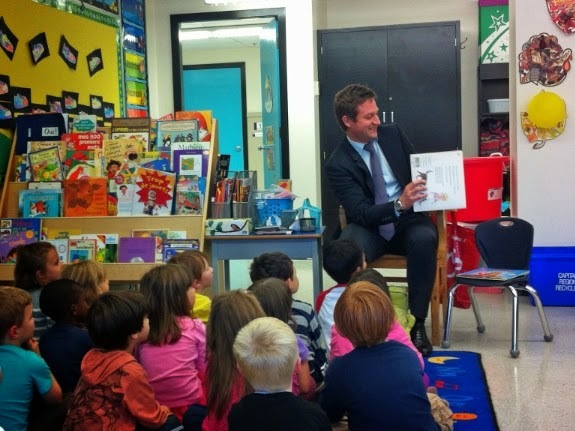 A HUGE THANK YOU to Rob Fleming, MLA for Victoria-Swan Lake & Official Opposition critic for Education participating in Drop Everything and Read at L'Ecole Quadra on October 27th. Photos courtesy of Amber Nash. IT'S OFFICIAL: DEAR 2013 IS THE BIGGEST YET! A tremendously gracious 'THANK YOU!' 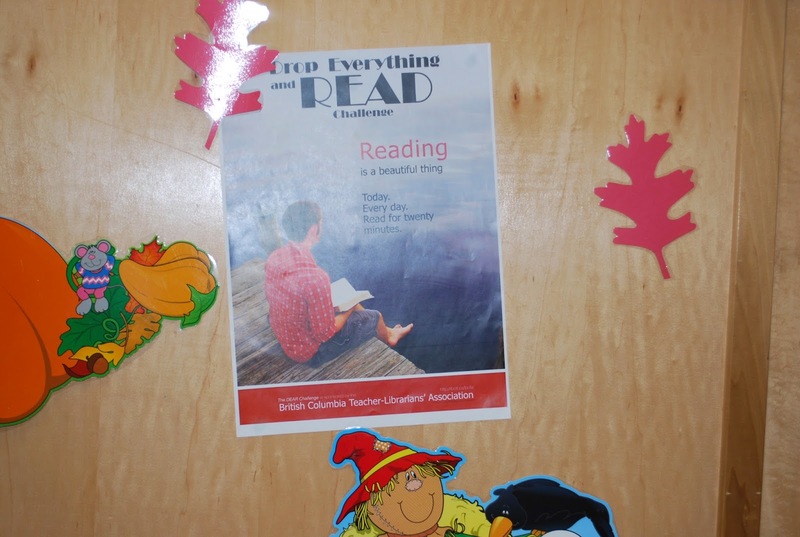 to all British Columbia students and teachers, librarians, volunteers, and community literacy advocates for their support of the seventh annual 'Drop Everything and Read' event (@BCTLA_DEaR)! Another amazing reason to celebrate a successful event...? With nearly 72 000 students involved in this year's event the participation rate has increased by over 30% from last year! Stunning! And there's still more room for participation! Stay tuned for how DEAR 2013 was celebrated around the province last month! Photos courtesy of Kim Hammerich! 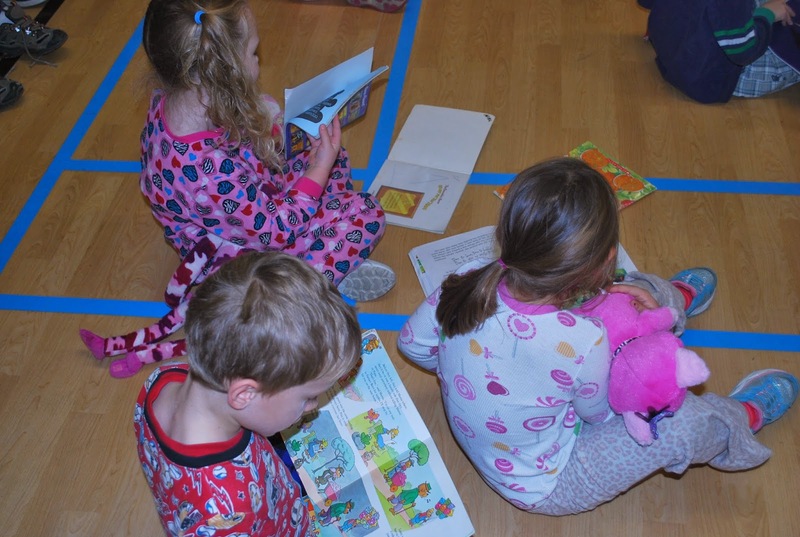 This event has been slowly gaining popularity and attention over the last few years and we were thrilled to invite members of our Oak Cay Community to come and share in the joy of reading with our students. 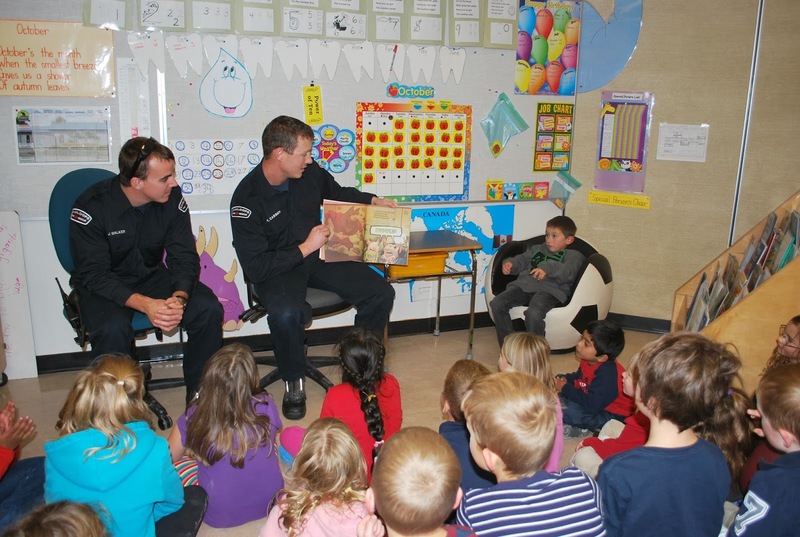 Some of our special guest readers this year were the Oak Bay Mayor Nils Jensen, The Superintendant of School District #61 John Gaiptman, our School Liaison Officer Constable Julie Chanin, The Assistant Fire Chief Cam Thompson and 6 of the Firefighters from the Oak Bay Fire Department, Children's Librarian Devon Tatton at the Oak Bay Branch of the GVPL, and retired Monterey Teacher Karen Evans. 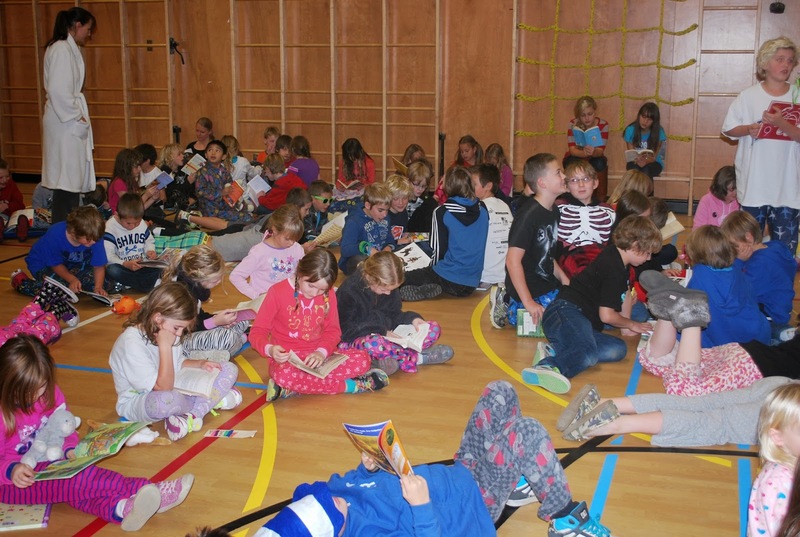 Our guests were introduced by the school's Library Leaders and asked what their favourite book was before settling in to take 20 minutes out of their very busy schedules to enjoy a good book! All of our students participated in the reading event, with some in the music room, some in the computer lab and most in their classrooms putting their pencils down and picking up a book. 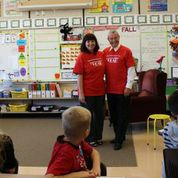 The first one features John Gaiptman, Superintendent of SD #61 reading with Mr. Brown's Grade 6 class. The school was so silent you could have heard a pin drop! This amazing event helps promote the joy of reading, something that our students at Monterey have already discovered. We circulated nearly 5000 books last year through the library and our amazing staff promotes the "Read Anything, Read Often" motto within our school. 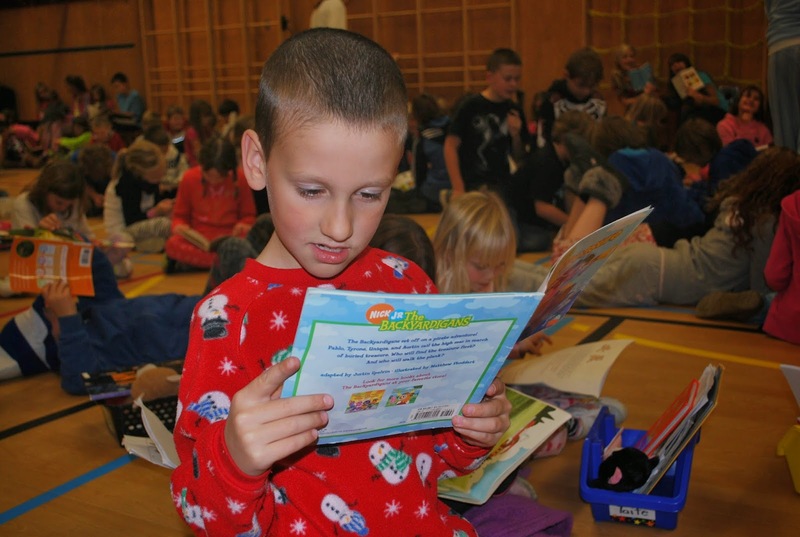 And we aren't alone as schools all across the province joined us today and throughout this week for the Drop Everything and Read event. 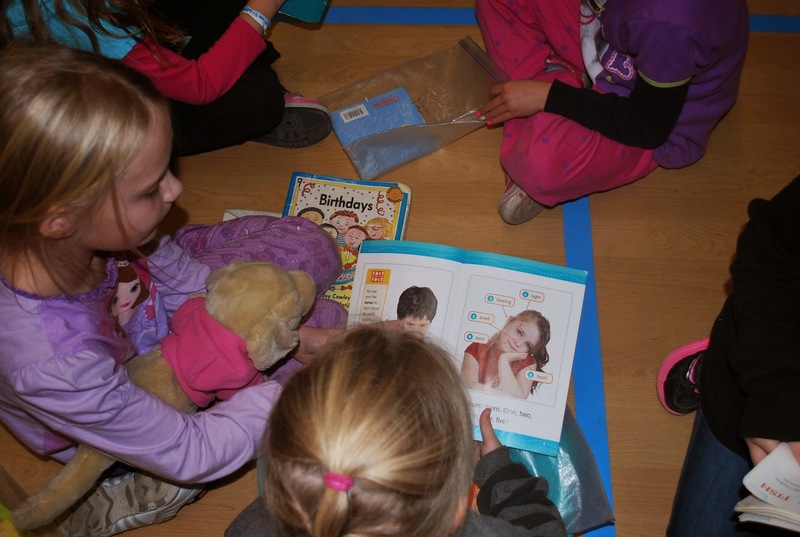 It was wonderful having our special guests join us on the official BC School Library Day, and we hope to have an even bigger event to promote reading next year for Drop Everything and Read. If you have any questions please contact me on my cell phone, 250-882-8845. Thank you so much! 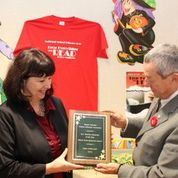 The BCTLA Teacher-Librarian of the Year, Deb Cowland, watches over the Minister of Education, Peter Fassbender, as he reads with some students in the Richard Bulpitt Learning Commons on BC School Library Day! Minister Fassbender was at Richard Bulpitt Elementary on Monday to officially open our school. How fortunate for us that he was able stay and join in on the DEAR activities as well. 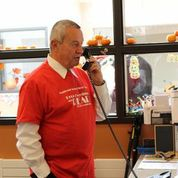 He happily donned his DEAR T-shirt and then, at his request, enthusiastically announced DEAR to the entire school over the PA. He enjoyed time reading with children around the school and promoting the love of reading and the importance of reading books. 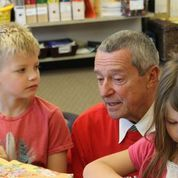 We were able to chat briefly when he shared his past experiences with DEAR as Mayor of Langley and expressed his long-time support of libraries both school and public. 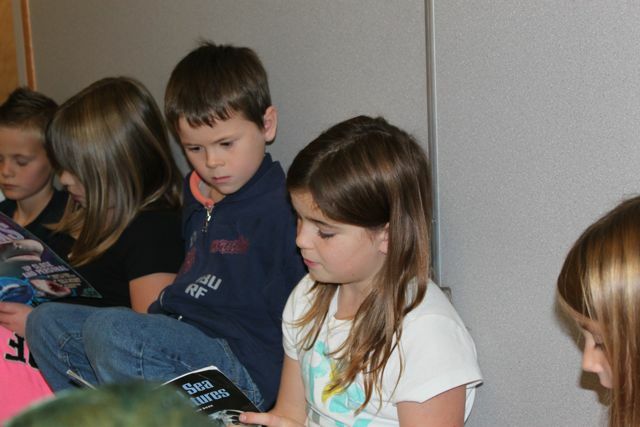 It was a special DEAR Day at Richard Bulpitt Elementary for sure! After officially opening the new Richard Bulpitt Elementary school in Langley on Monday's BC School Library Day, Minister Fassbender gets DEaR underway with an announcement over the the school's PA system and then spends time reading with students in the beautiful new school library. DEaR coverage starts :59 into the video. The video above is courtesy of Cindy Ralph, Library Consultant and CLTP Program Coordinator with the Libraries and Literacy Branch. You can also check out the Minister's entire visit to Richard Bulpitt Elementary including his time reading with students during DEaR! 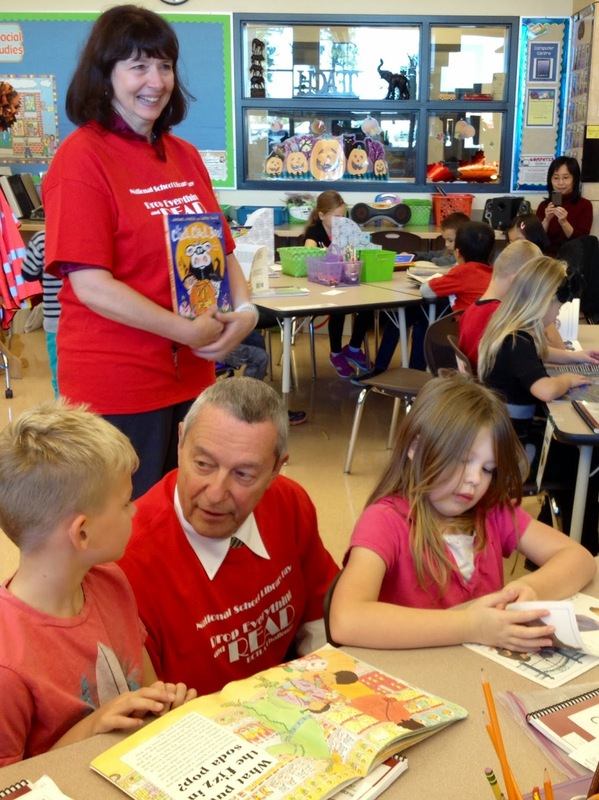 The Minister of Education, Honourable Peter Fassbender, took time from his primary duty of opening the Richard Bulpitt Elementary School in Langley to 'drop everything and read' with the students of the new school. Here's the official press release. And we're hoping to have photos later this week. Thanks to Deb Cowland for her support at Bulpitt this morning! DEaR Action Adventure: Parkland Secondary Releases Another Beauty! Another awesome DEaR video courtesy of Parkland Secondary in Saanich! A HUGE thanks to teacher-librarian, Aaron Mueller, and his crew at PS for this beauty! Please share with us what you are doing for DEaR this year! We want to know! 2013 DEaR Participation Report: Please share your participation! That's the question we're asking every school, public and school library, and community! Share with us on our Facebook page (DropEverythingandReadBC), or Tweet us #BCTLA_DEAR or #DEAR2013. Tracey Kendrick, the Children's and Teen Services Coordinator at the Greater Victoria Public Library, is excited to share the news that the GVPL will be participating in DEaR this year! 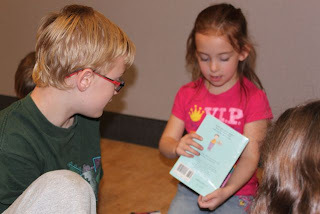 "In addition to outreach visits to schools from Children’s Librarians, at GVPL we are trying something new this year for DEAR. We are hosting book picnics for young children so they can take part in the fun just like the big kids in school. The book picnics will happen on October 28 from 11-11:20am and will include picture books, songs and finger plays. 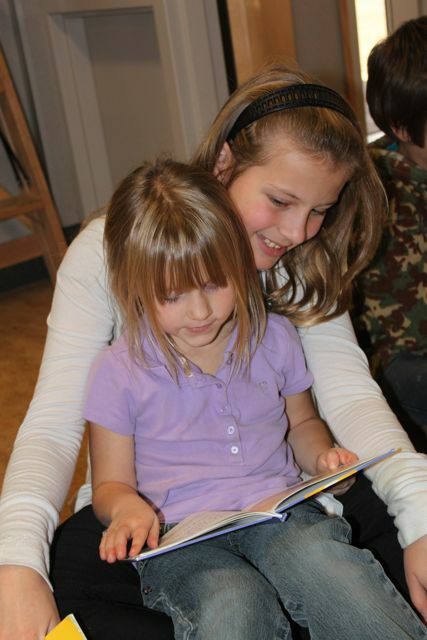 We’ve also featured DEAR in a news item on our homepage at www.gvpl.ca." 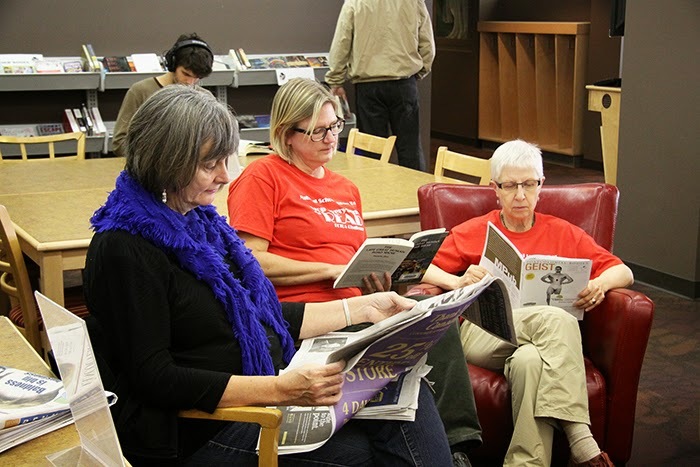 Please share how you public library is celebrating DEaR BC 2013? 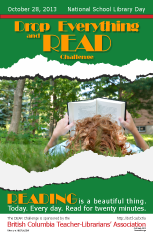 Terrace Challenges Your Community to DROP Everything and READ! 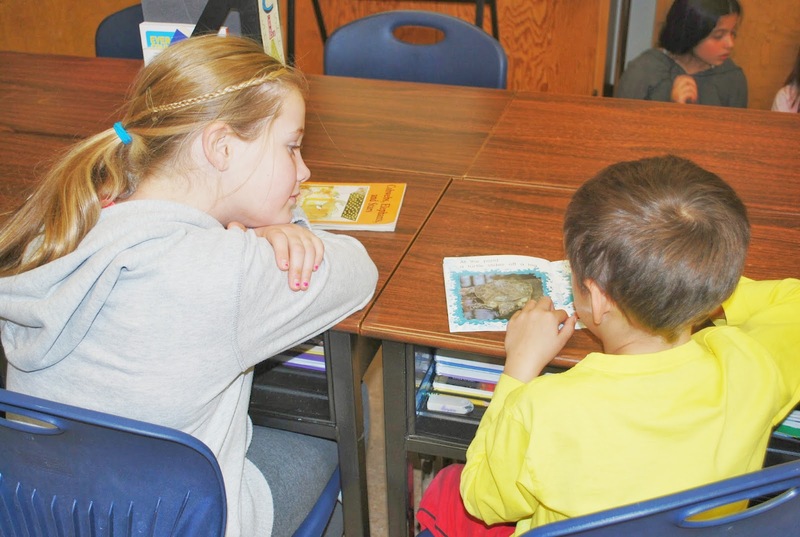 The Terrace Public Library and the Friends of the Terrace Public Library would like to challenge your school’s K-6 classes to participate in this year’s Drop Everything and Read Day. WHEN? 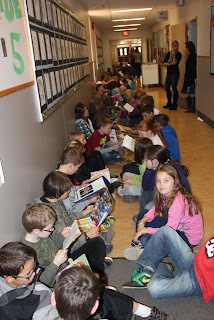 Monday, October 28, 2013; 11:00 a.m. - 11:20 a.m.
Best Photo: $100 to the school who submits the best photo of their Drop Everything and Read Day event to be judged by Friends of the Library. Photos will not be publicized unless they receive your written permission. All prize monies are to be used towards the purchase of books for your school library. If there is a tie, a random draw will be performed to determine the winner. For more details contact Margo Schiller at the Terrace Public Library. 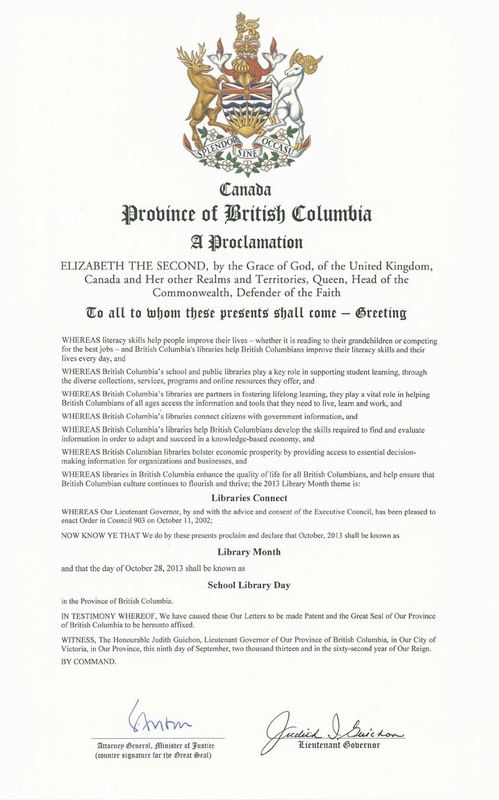 BC Lieutenant Governor, Judith Guichon, has issued a declaration that October 28th will be BC School Library Day! And just in time to support DEAR and National School Library Day! Thanks to the folks at the Ministry of Education who lobbying tirelessly on behalf of BC students and school libraries! The wonderful folks at the Nelson Public Library have jumped on board with DEAR 2013. DEAR At the Nelson Public Library! Sooooo...on October 28th, I wonder what YOUR local public library is doing to celebrate literacy, libraries, and the pure joy of reading...? 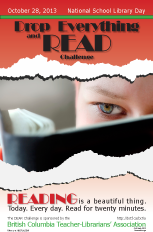 The British Columbia Teacher-Librarians' Association welcomes everyone to download digital copies of the annual DEAR posters (in French and English) and recommends printing them on 11 x 17 poster stock. To download your favourite versions of our Al Smith (@literateowl) designed 2013 poster visit out Advocacy Page today. DEAR T-Shirts Available For Order! 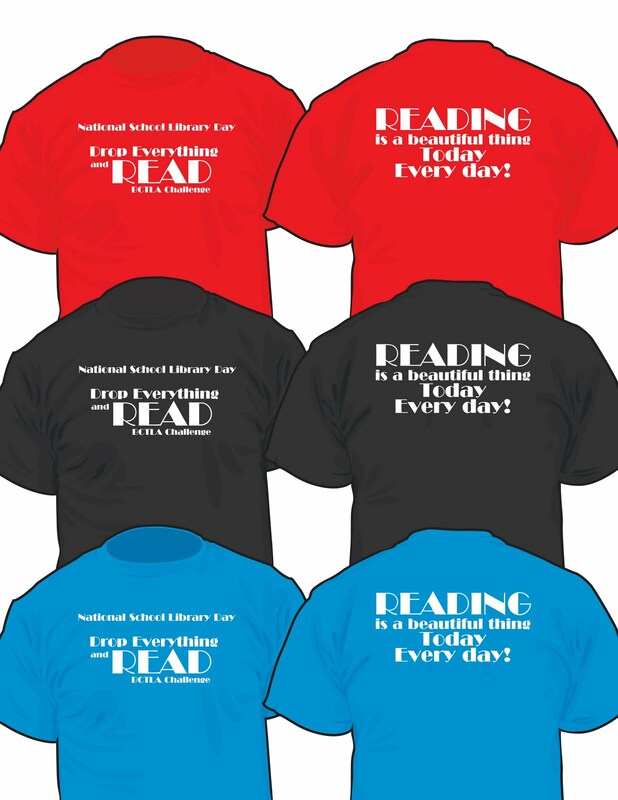 Once again this year, the fancy-schmancy official Drop Everything and Read T-Shirts will be available for sale through our vendor, Out of the Blue Designs, for $10 each plus shipping and applicable taxes. Please contact Randy for ordering and shipping details at 1.877.311.0122. NOTE: A very limited number of red t-shirts with with white text will be available for sale at the DEAR booth at the Fall BCTLA conference. IMPORTANT: To ensure receipt of t-shirts before October 28, please order before September 27, 2013. For more details about DEAR Week (October 28-November 1, 2013) please visit or subscribe to this blog! 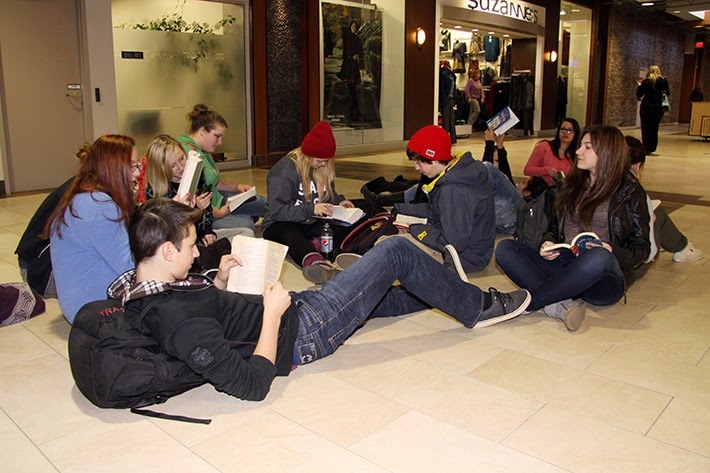 The British Columbia Teacher-Librarians' Association's Drop Everything and Read will kick off School Library Week 2013 in BC on Monday, October 28, 2013. Stay tuned for more blogging in the months ahead! G.W. Graham DEARs It Up! G.W. Graham Middle-Secondary in Chilliwack supported the cause last week, too! A DEAR Reading Train made a stop at J.W. Inglis Middle School in Lumby (SD22) last week. Here's a look at the action! 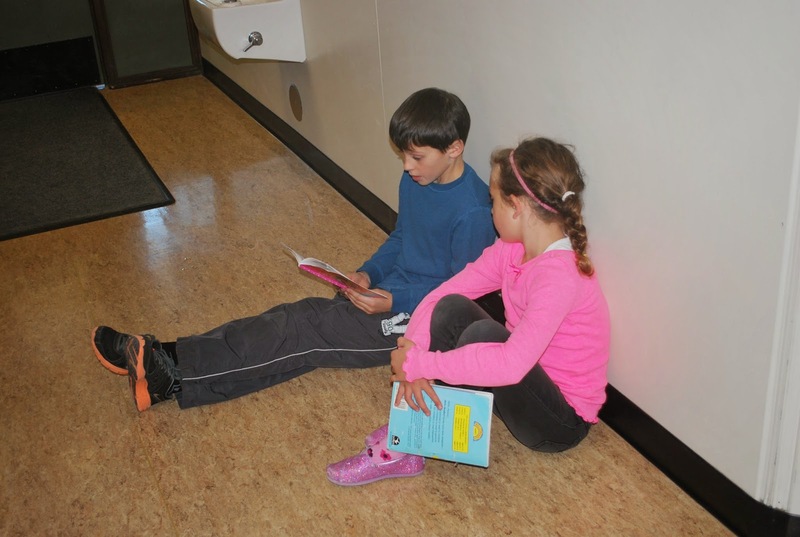 Kamloops School District Breaks DEAR Participation Record! 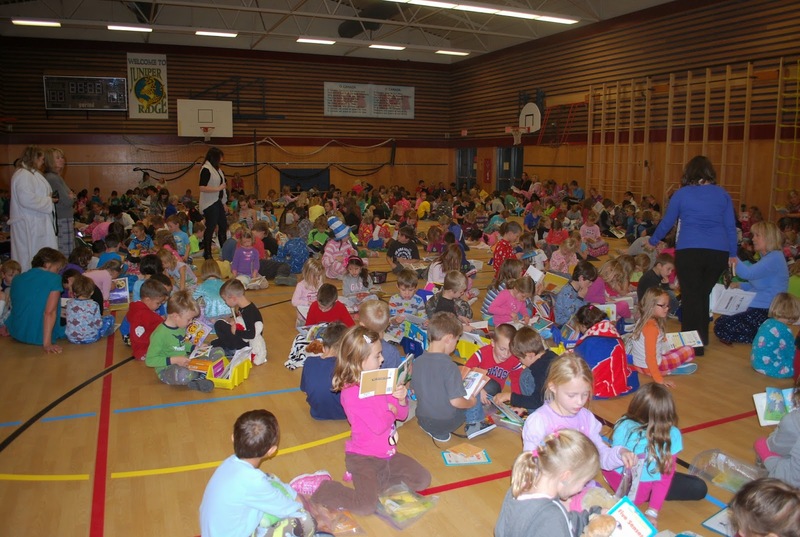 Congratulations to everyone in School District 73 (Kamloops) for breaking their old DEAR participation record with over 8500 students from across the district involved in last week's event! For more details visit the SD73 website. Excerpt: SD73 teacher-librarians coordinated a variety of events leading up to the day including pajama day, decorate your door for DEAR, group and buddy reading activities, communicating with authors and reading challenges. 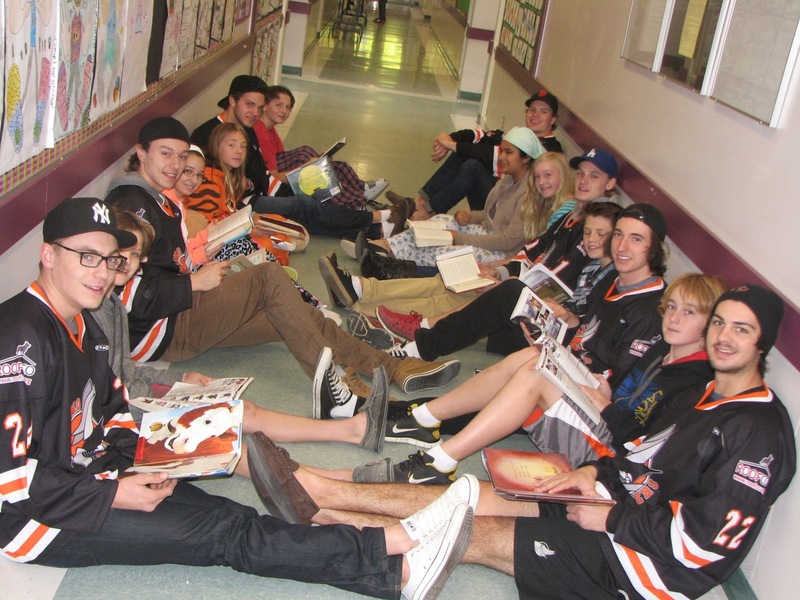 A number of special guests also visited schools including: school trustees, Kamloops Blazers, Cat in the Hat and local media personnel. Students read a variety of choice material such as magazines, nonfiction materials, picture books, stories on e-readers, comics, webpages, articles on ipads and print newspapers. Many thanks to district teacher-librarian, Andrea Wallin, and all SD73 teacher-librarians, administrators, and staff that supported the event this year!